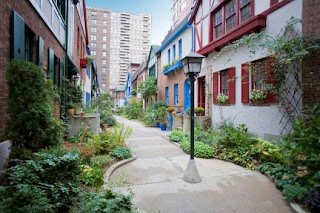 One of the Upper West Side's best-kept secrets is a tiny Tudor village tucked between Broadway and West End Avenue. 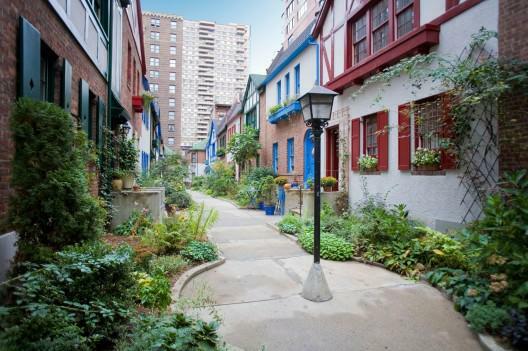 Pomander Walk was built in 1921 to resemble the London set of a hit play of that era called Pomander Walk. The Pomander Walk enclave of European-styled townhouses runs a full block on the Upper West Side. The townhomes align a narrow block which stretches from 94th to 95th Street between West End Avenue and Broadway. There are 27 Tudor-styled townhomes, with 63 co-operative apartments behind the exclusive gated enclave. An urban oasis with English gardens, Pomander Walk has attracted famous residents like Humphrey Bogart, Rosalind Russel, and Lilian Gish. 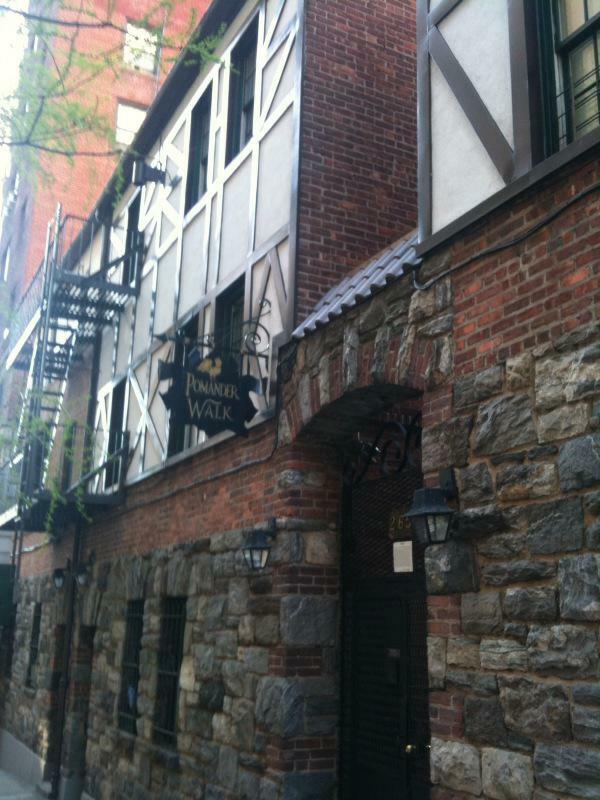 In 1986 Woody Allen exposed this enchanting Manhattan hideaway in Hannah and Her Sisters.